Professional Voice Prompts for FreePBX®. All recorded by our native speaking voice artists. To unleash the full power of FreePBX® you need to have voice prompts that match the features you want to use. Westany’s range of voice products have specifically recorded files designed to match FreePBX® “feature for feature”. This means that you can use all of the great functionality provided by coupling Asterisk with FreePBX® and use it as soon as it’s installed. If you need to extend the functionality we can record anything you need in just a few days and buy the same voice artists. 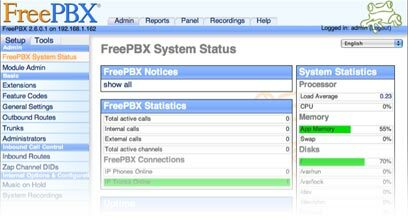 All the features of FreePBX® are fully supported. The sound files are recorded to support all the features of FreePBX® right out of the box. These include voicemail, ivr, call queues, call transfers, call parking, conferences, torture menus, error messages, numbers, alphabet and phonetics. Each of the voice artists is a native speaker in their language so their voice and accent does not get in the way of your message. The last thing you want is for your customers to think your American instead of listening to the ivr menu or voicemail. The first impression you hear is the most important first impression your going to make. …After all we can’t make a Second first impression.